← How does the Easter Bunny stay healthy? As requested by one of my followers in Australia…a Strava kangaroo! The reason is simple. As a Strava artist, I’m a slave to the roads and pathways that comprise my canvas. I don’t ‘create’ my Strava doodles – I discover them in the city map. Sometimes they’re right-side up; sometimes they’re upside down; sometimes they’re sideways. It strikes me as ironic, then, that my first Strava-sketch of an Australian critter, which I purposefully designed and doodled for my friends in Australia, popped out of the map right-side up! 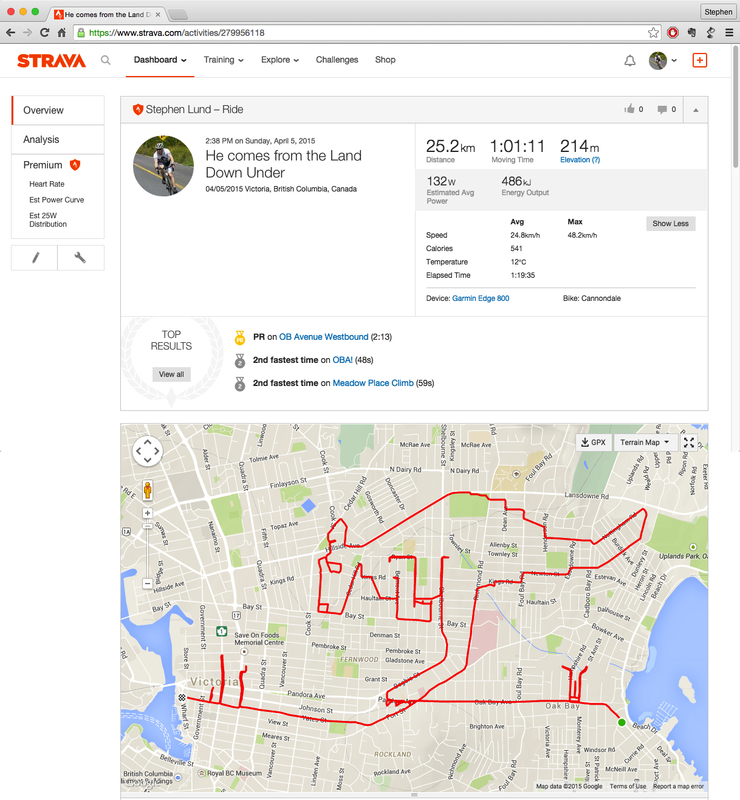 This entry was posted in gps art and tagged animals, Australia, creativity, cycling, garmin, gps, gps art, kangaroo, marsupial, strava, strava art, victoria bc. Bookmark the permalink. Chris – I’d love to see it. There’s an email address in the sidebar of this blog. Send it my way!